4.2 out of 5 based on 22 bloggers and 6 commenters. 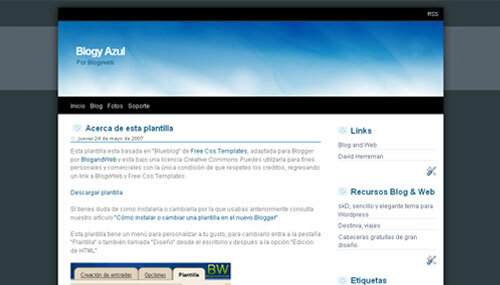 Azul is a free blogger template adapted from WordPress with 2 columns and right sidebar. Lo voy a probar en mi blog a ver que tal gracias! Por qué ninguna plantilla me funciona? La ando usando y me ha gustado mucho.